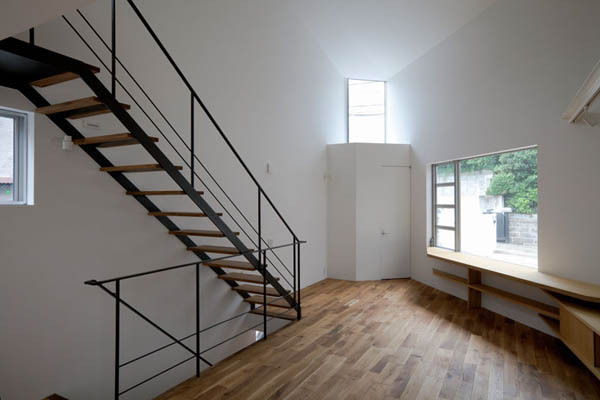 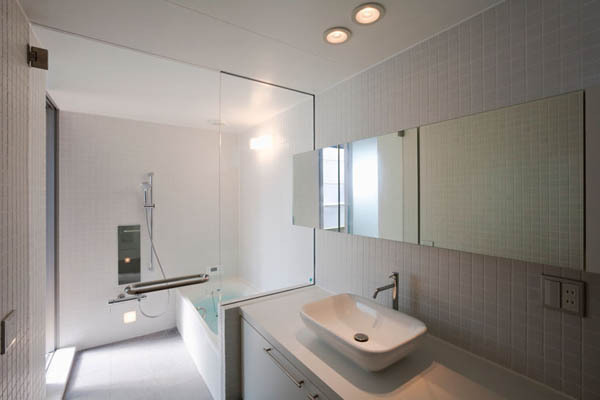 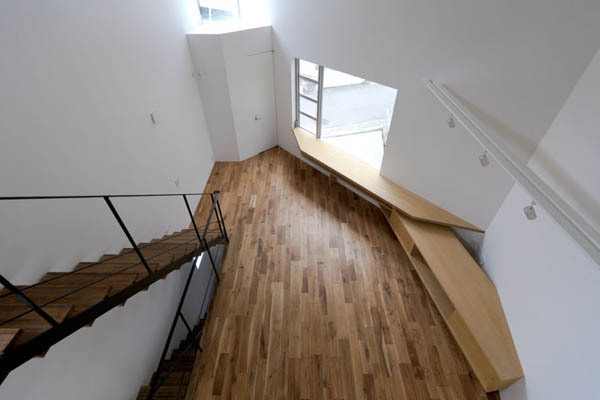 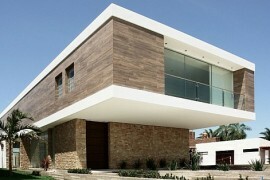 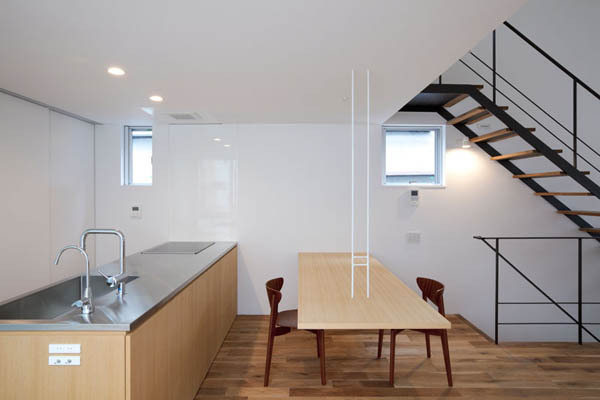 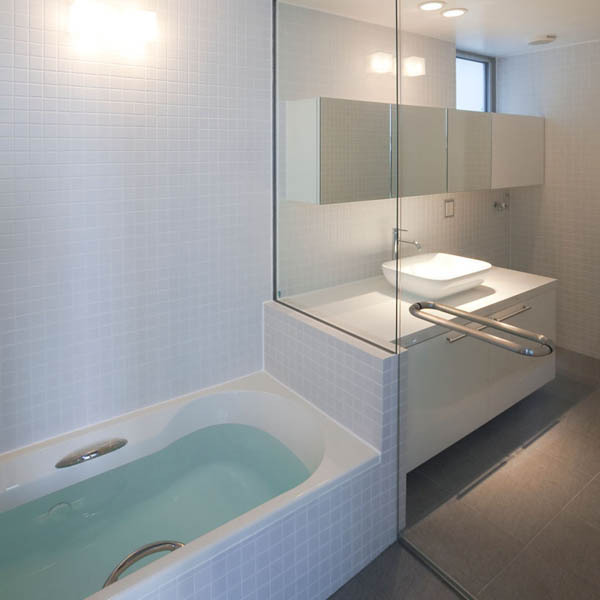 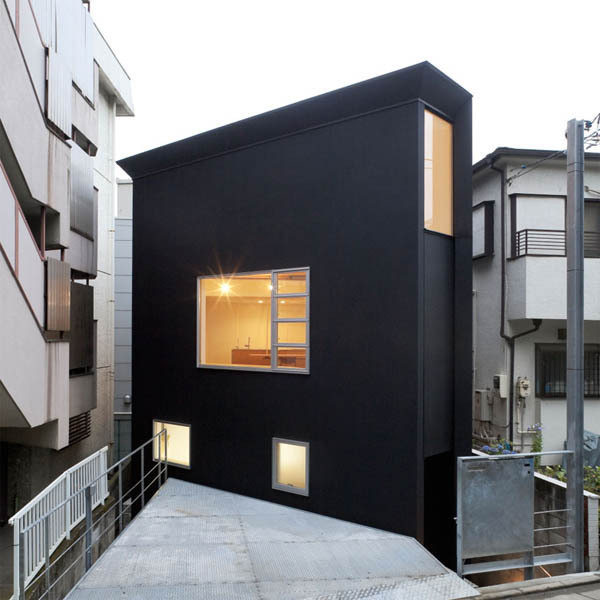 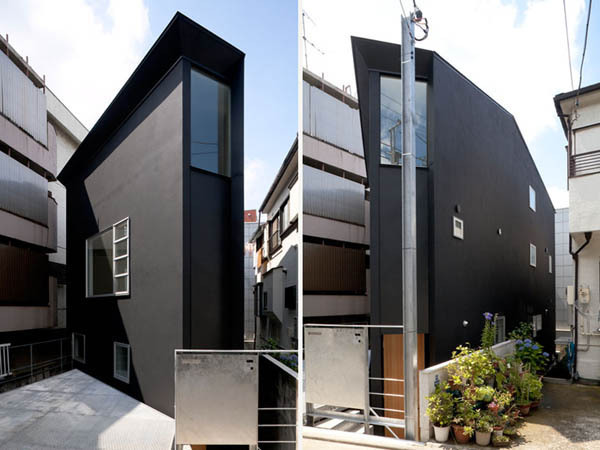 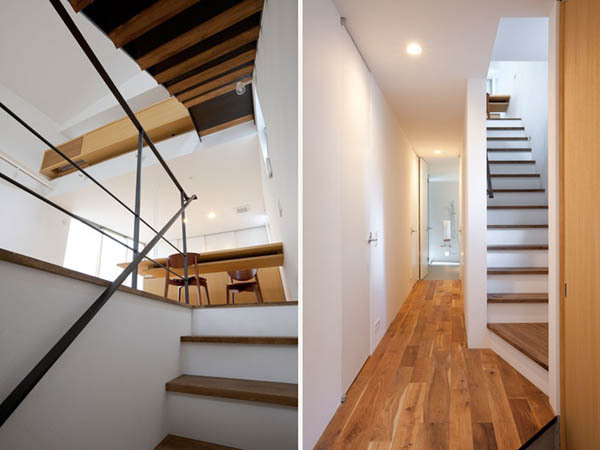 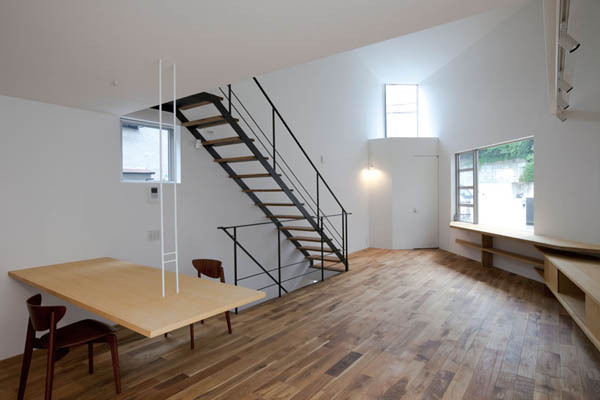 Japanese architecture firm Atelier Tekuto (Yasuhiro Yamashita) has designed the OH house, which accommodates 6 people. 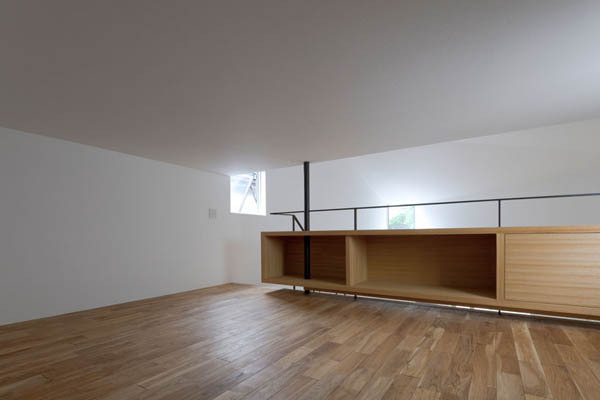 The main priority regarding the design was to create a parking space for a car, which was tough, given the fact that the house is built on a rather irregularly shaped limited plot which is 1.5m lower from the road. 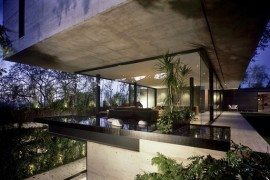 It was created hence, with a web-like steel material that passes light into the underground level. 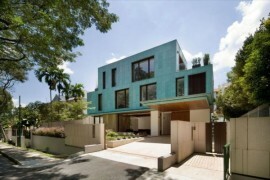 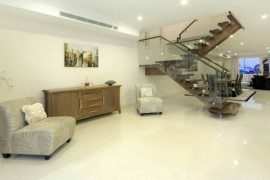 The entrance to the house is positioned at the underground level near the parking space, from where a flight of stairs lead you to the family area with two bedrooms and a bathroom at the far side. 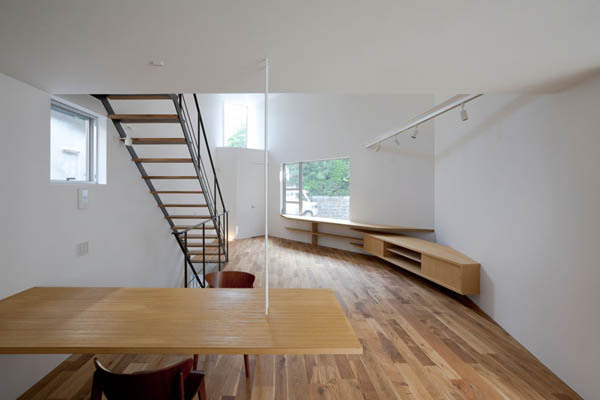 Some other features of the design include large window and suspended furniture: the dining table hangs from the ceiling. 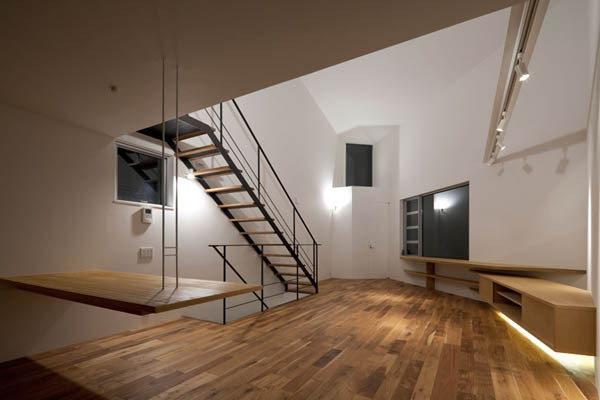 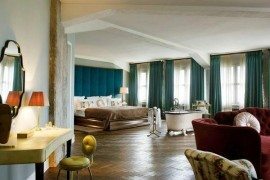 The furniture is placed with an open-concept design which makes the most of the available space. 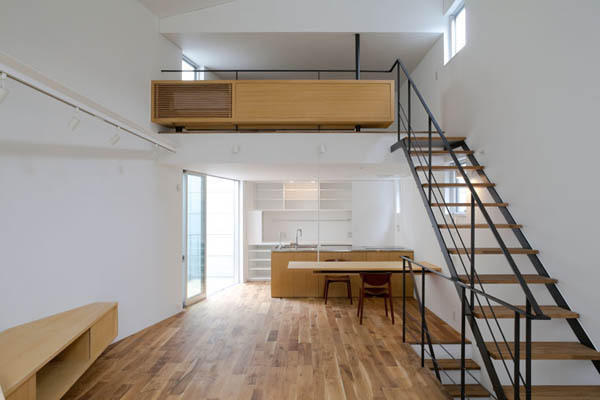 To give a feeling of more space, the OH residence has multi-sided ceilings that makes it appear more spacious than it is.